Custom Door Sales, Inc. was established in 1946. The company was privately owned by Mr. Ron Fick in 1990. In 2011, Ron began selling the business to two of his key employees, Dean Johnson and Amy Egan. 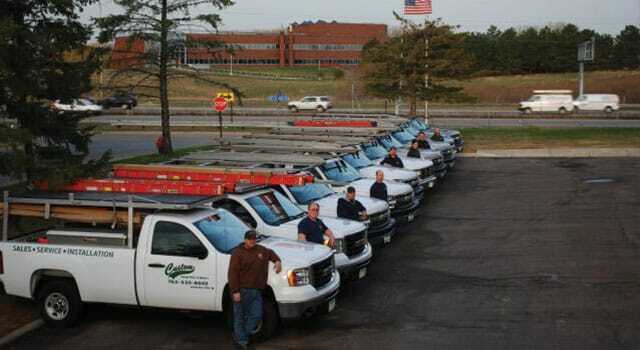 With Mr. Fick and our fellow employees, we offer over 225 years of experience in the industry. Based in New Hope, we are able to take care of all of your door needs, and we service residential homeowners, contractors and commercial accounts. Our wholesale division supplies products to other garage door companies and lumber yards throughout Minnesota. We maintain a vast inventory of garage door parts and products which can be purchased on our eBay store or by visiting our showroom and retail store. Excellent customer service. We strive each and every day to offer excellent and personalized customer service. You will find that all calls are answered by a live person. Our excellent teams in the field or in our office are here to help you. Our history of loyal relationships with customers and employees has helped us grow into an industry leader and motivates all of us to continue our tradition of exceptional products and service. We stand apart. When purchasing a garage door for a home, many decisions must be made. 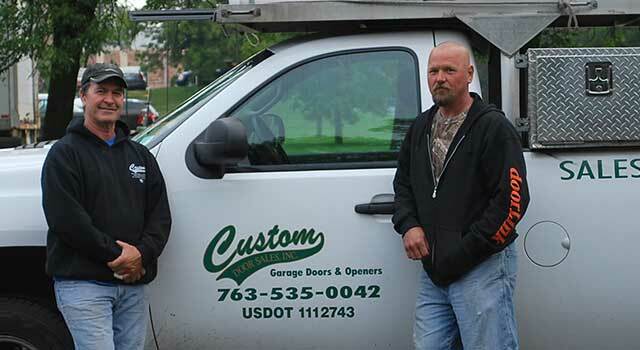 It is our goal at Custom Door Sales to make those decisions easier by providing the highest quality products, the most economical prices and the best possible service and support. 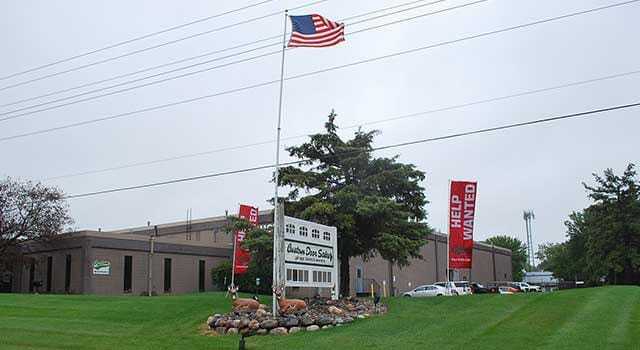 Since 1946 we have built our reputation as one of the largest and most reliable garage door companies in the Midwest. Safety comes first. We provide much more than great products and support at Custom Door Sales. Quality products mean safer products and safety is a large part of our philosophy at Custom Door Sales. Servicing a garage door can be dangerous, so we carefully train all our technicians and sales force to support all our products professionally and safely. Our commitment to you. Our warranty is just the surface of our commitment. We promise to deliver prompt responses to questions from our professional staff. We are not here to ‘upsell’ you; we are here to help you make an informed decision on what best fits you and your family’s needs.